Ripplebrook Backroads V2 showcases some of the deeper zones of the southwest quadrant of mount hood national forest. primitive forest path, loamy trail, serpentine doubletrack and inexplicable lost highway connects ripplebrook, timothy lake and the clackamas river in a sublime circuit of seemingly deserted byways and pristine river valleys. 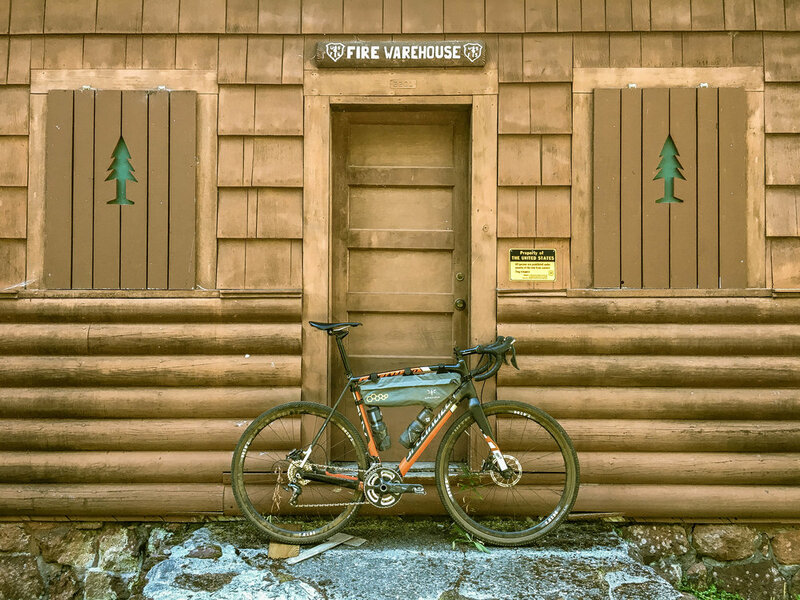 Originally staged as a 2015 Unpaved ride event, Ripplebrook Backroads V2 has been reimagined as a more singletrack-intensive affair, pushing things deeper into the thick needled loam that this quadrant does so well. Right out of the gate we want to mention that this pair of routes is going to be much smoother and more relaxed than prior courses in this year's series. Everything here is going to be CX bike accessible. Even the epic version, which has a considerable amount of trail, is still going to be relatively smooth by OMTM standards. Let's put it this way, if Thee Holy Mountain were Yes' 'Roundabout' then Ripplebrook Backroads is going to be Dylan's 'Main Title Theme (Billy)'. 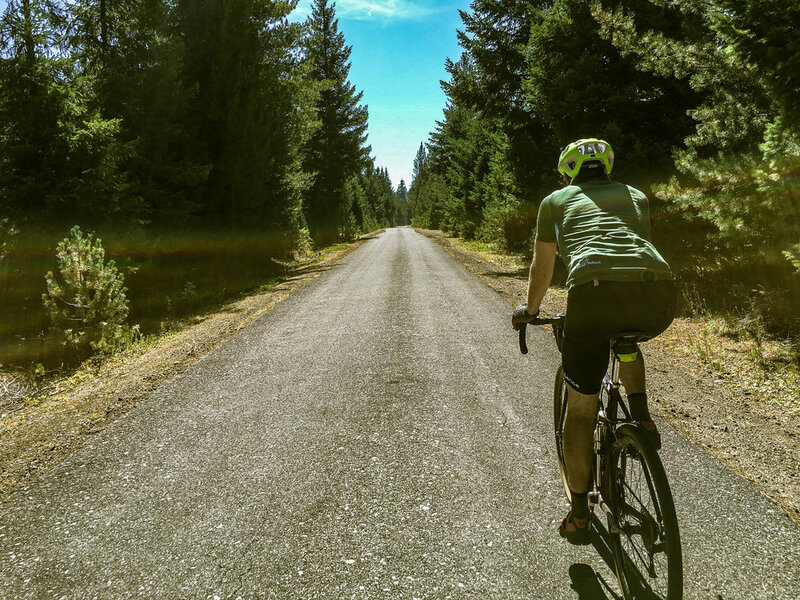 If Mosier Mayhem was 'Immigrant Song' then we consider Ripplebrook Backroads to be the 'Going to California' of the series....wait...what were we talking about again? Kicking things off, we urge folks to use the west end of the parking lot and be respectful of not parking directly in front of the store. We'd like to be a welcome presence going forward, so thanks in advance for helping minimize the parking impact as best we can. Things set off at the Ripplebrook store along Highway 224 about 25 miles southeast of Estacada. We head east up Ripplebrook Road/4630, skirting Lake Harriet before intersecting NF57 at mile 7 and gently climbing the remainder of the way to Timothy Lake. At mile 15.7 things scale down a bit as we jump onto Timothy Lake trail which circumnavigates the northwest side of the lake via silky luxuriant singletrack. 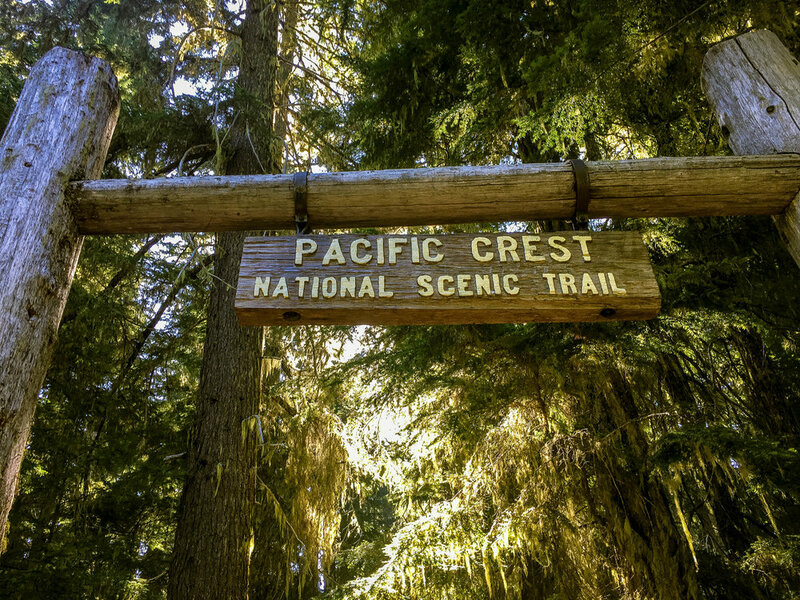 At mile 19.8, the route 'technically' merges with the Pacific Crest Trail for 600 feet. Dismount in deference to hiker hegemony or utterly schralp in sheer defiance of all that is prudent and lawful, the choice is yours. Just do what feels right. We keep to relatively straightforward singletrack until mile 24 where we intersect NF42 southward to the historic ranger camp at Clackamas Lake. There are two water sources here, the first of which is a fountain visible from 42, the other is a spigot in the center of the ranger camp. 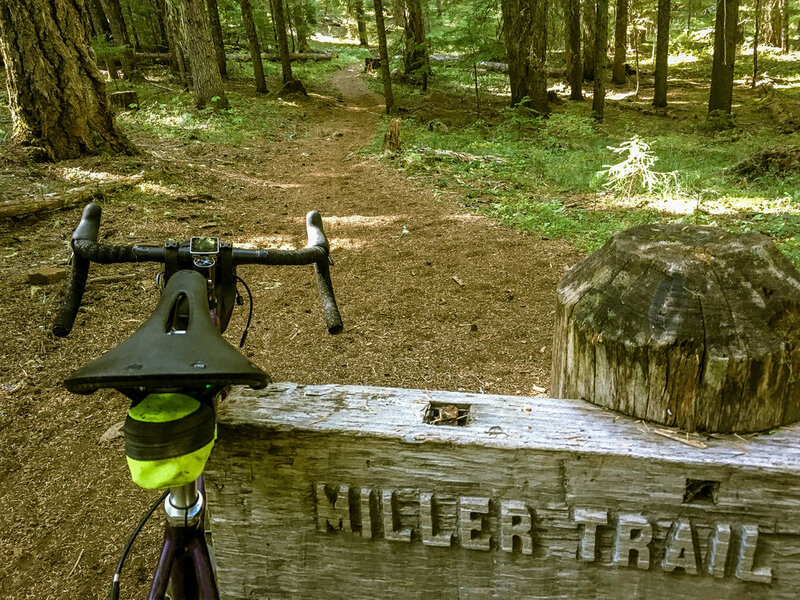 Be sure to explore the ranger camp on your way to connect w/ the Miller Trail northward to Timothy Lake Trail en route to the paved road 5740 southward. Keep alert for the left onto the gravel connector at mile 29.6 which begins a long, gradual climb to the Oregon Skyline Road at mile 32.3. Through this section, be aware you are very deep in the bush. We were surprised by a black bear barreling down the trail this past weekend through this bit, so understand that this is part of the deal. These forests are healthy, wild, raw, remote and have an ample bear population. Once we hit NF42, tuck in and enjoy the long, rollercoastering descent. One thing we have to stress is that while it may seem deserted out here, this stretch of road does experience a certain amount of auto traffic in both directions, so keep alert and don't assume you have the road to yourself when cooking blind corners. There very well may be cars coming in the opposite direction assuming the same thing. 42 connects to 46. Ride your bike until you get to the Riverside Trail at mile 65.2. This trail is the foxiest four miles of randy, supple, mazy Elven magic you may roll this year. It twists and turns through mossy glades of old growth forest, occasionally cresting into precipitous vistas overlooking the Clackamas River below. Toast it over cane sugar sodas at the finish. there is one spot for water refill along the route at the clackamas lake historic ranger camp (mile 24.4). other than that you may want to bring a water filter to treat water along the way.